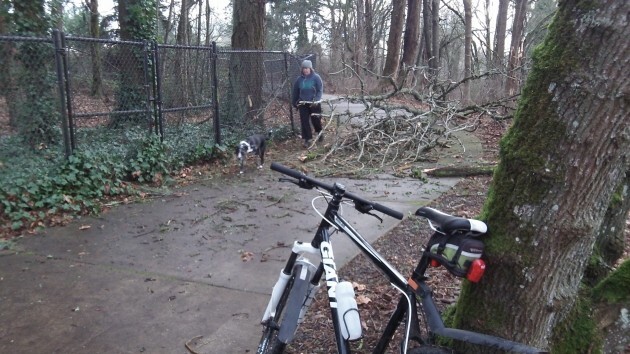 The occasional obstacle makes riding Albany’s bike and walking paths more interesting, wouldn’t you say? This one was on the Cox Creek trail near Salem Avenue. It was left over from last week’s wind storm, according to the walker making her way past the obstruction along with her dog on Monday afternoon.